CR architecture + design announced today that Bill Dandy has assumed the role of President as David S. Arends, President and CEO, transitions into the role of Chairman of the Board and CEO. “Executing this next step in our long-range strategic plan allows me to continue to evolve my role to focus on setting our vision and strategy as we aggressively build and grow CR. I will continue to be very personally involved in our key client relationships, while further dedicating myself to refining our business model and culture,” said Arends. “Bill brings an unusual blend of senior-level leadership experience, having been on both the client and service-provider side in key roles for major companies,” Arends continued. “He has a great deal of expertise in building client-centric companies with outstanding operating disciplines.” Transitioning from his previous role as Chief Operating Officer, Dandy will continue to advance the development and execution of company initiatives focused on building the infrastructure to deliver optimal customer experiences. Additionally, CR announced that P.J. Hannan, most recently at Hixson Architecture, Engineering and Interiors, will be joining the company as the Vice President of Operations. Hannan’s experience in operationalizing project management disciplines and client relationships will be leveraged, as CR continues to optimize the centralized management of its delivery systems to accommodate the needs of its client base through its core Director teams. Over the last 7 months, CR has positioned its leadership team to provide support for its Directors to better serve their client base, while strategically building an infrastructure to drive accelerated growth. 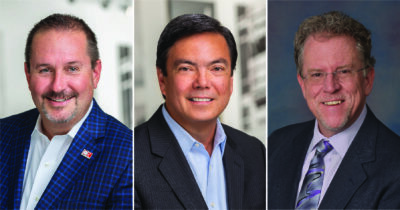 This includes the recent additions of Bruce Quisno, a veteran architect from Macy’s, as Vice President of the Retail discipline, Jason Reverman, formerly of local design firm FRCH, as Controller and several key Director hires in the growing Education, Hospitality and Government market sectors.